Home Blog Announcing Launch Week! 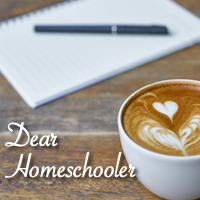 I am pleased to announce that Dear Homeschooler will officially launch August 3 – 7, 2015! Please join me this week as we begin our journey and build a community where we can learn and grow together. Check out Dear Homeschooler’s home page for details about each giveaway and how to get extra entries!